Open the cockpit and place the U-Wing Pilot in his seat. Fire up the engines and launch into the sky. Keep a lookout below with the transparent window, and when you spot the enemy, fire the front spring-loaded shooters and stud shooters mounted in the side doors. You can even fold the wings back for a bigger model! Coming soon! This comes down to 12.13 cent per brick. The Rebel U-Wing Fighter™ (75155) Lego set is no longer directly available from the sites below. However, 3rd party partners of these sites might still have the set available. 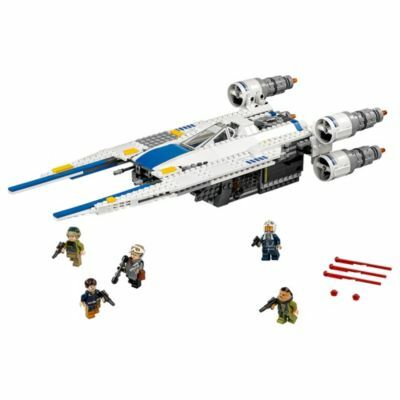 Alternate description Join the battle against the Empire with this U-Wing Fighter featuring sweep-back wings, opening cockpit with observation window, spring-loaded & stud shooters, and 5 minifigures.